«ALFATHERM» was established in 1964 and is still active since then in the design, manufacturing and selling of oil and wood stoves and fireplaces. With the continuous development, the introduction of new technologies, the constant and continuous updating, both management and technical staff of ALFATHERM have, over the years, the sole purpose of manufacture and distribution of high aesthetic quality products and to meet the most demanding taste. The products of ALFATHERM ensure maximum performance in the most adverse weather conditions, follow the modern decoration trends to satisfy the most demanding customer and ensure excellent performance and durability. The company manages, for five decades, combining new trends and materials in the line of tradition and manufactures quality products and unchanged over time. 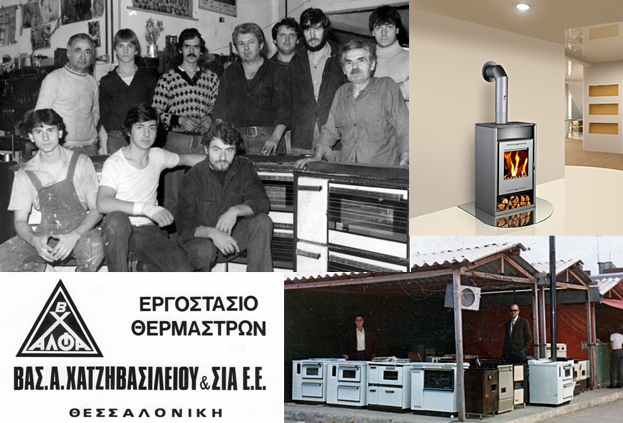 The combination of modern and flexible management of the company with the long experience of its personnel in manufacturing all types of autonomous traditional heaters ALFATHERM secured the exclusive distribution of branded foreign firms establishing so a dominant position in the Greek market. So the company was certified by July 2012 for the quality assurance system ISO 9001 and guarantees in that way optimal function and quality of products by continuous measurement of excellent calibration instruments concerning the emission of harmful particles. We want to assure you that the ALFATHERM continuous effort for quality and competitiveness go hand in hand with the emergence of Greek identity in order, trying to strengthen the Greek production and entrepreneurship.